What’s the Benefit of School Choice? does having school choice really give you freedom? I remember the days when the only school choice was public or private, and the “neighborhood” school that we attended was really good. Either that, or I was not old enough to understand. But what I do remember is attending school, participating in extracurricular activities, having teachers that challenged you…and most importantly, I learned something. I wouldn’t be where I am today had I not learned anything. Even today I remember a few favorite teachers…not because they had easy classes…but because I received something of value. A life lesson I will never forget. One of my favorite high school teachers just so happened to be Ginger Littleton – and by now we all know Mrs. Littleton, if by nothing more than her infamous purse. That woman had great courage to do what she did. She has the stuff that made for a good teacher. I am sure there are many more like her, but I fear those who aren’t heavily outweigh. But I digress, and fast forward to my days post secondary – past the days I could care less about how the school system functioned, to the day I became a parent and education mattered again. Even more than before. As a parent I believe I am faced with many more challenges, er school choice options than mine faced. And you would think that entering my 8th year of ‘school choice’, I would have this notion conquered. But I don’t. I am as confused today as I was 8 school years ago. School choice sux (excuse my language). Rather than the perceived freedom of school choice, I feel bound by making the ‘right’ decision. Choosing the perfect neighborhood and the ‘best’ school option hoping my children are afforded every luxury in secondary education. You see, I don’t feel free. I don’t feel like a parent who can give my children the world because I am stuck wading through school grades, standardized test scores, zones, magnet programs, websites, online reviews, school tours, friendly chats with other parents hoping to make the same ‘great’ choice for their child(ren). Maybe I have this idea about school choice all wrong – but as I sit here at the beginning of this calendar year, planning to find a ‘great’ school for my children I can’t help but wonder…school choice, where’s the freedom in that? – I should resolve to be a more proactive “blogger”. Southern Living recently posted a contest to win a copy of their “101 Ways to Cook Southern” Cookbook. Naturally, I love the kitchen, so I submitted my comment on what I believe to be the secret to Southern Cooking…or any cooking for that matter. My secret to Southern cooking is soul. A little sprinkle of heart ~ the manner is which you take to preparing each dish, and a dash of ingenuity ~ adding that personal flair. A quick stir from my grandmother’s spoon, and there’s a dish sure to please any palate. A good meal is not complete without a little soul…. I did it. I entered into a contest with a simple dish. Participating was totally spontaneous….well almost. I learned of the contest on Twitter after following a new group @kitchendishin. They posted a link to a contest, and I thought it was a neat idea, primarily because the kids often spend time with me in the kitchen. They are great helpers. The most entertaining thing about our video is the fact that there was no rehearsal, no prompting of “lines”, I grabbed my new phone, called the kids into the kitchen, and began with our normally scheduled dinner plan. What was on the menu? 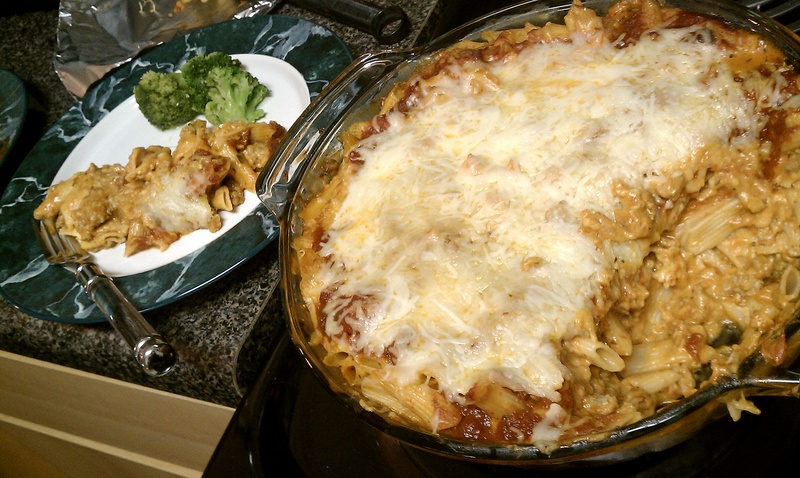 Baked Ziti, one of the kids favorite! Check out our video and cast your vote! THANKS!! Kids and Online Social Networking? Why didn’t someone create the “dislike” button? This would be one of the opportunities where I would apply it. A new social networking site geared toward children and their parents. The basic premise of the site seems to be: parents sign their kids up via their personal Facebook accounts and select the children of their friends to become friends on this new site. Then the parents, children and friends can play games, chat, or participate in other interactive activities on the site. You can read more in the article – Togetherville: A Digital Training Ground for Young Geeks | GeekDad | Wired.com. Call me old school, but what happened to good ol’ face to face communication? I like sitting at the dinner table talking about our day, or what we look forward to over the upcoming weekend. Furthermore, I am not ready for my oldest to have a Facebook account, let alone a mom sponsored/censored social networking site. We can stick to socially networking with kids and their parents at birthday parties, sports games, and other outdoor activities. Sound harsh? I don’t think so. 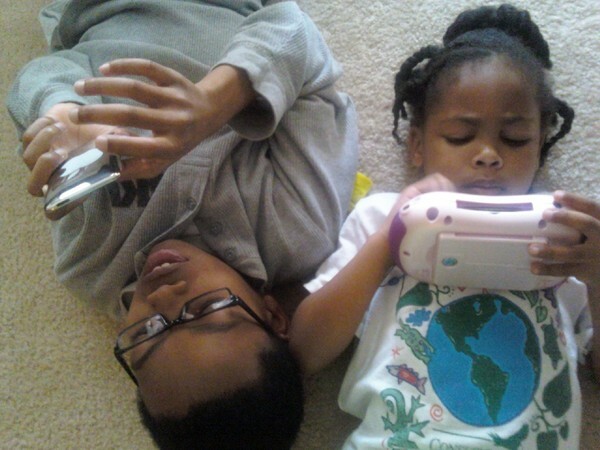 We have a plethora of electronic games and television shows to entertain our children. They know when and where they can play games online. Many have email accounts. At what point do we really stop to think about the value of personal interaction and encourage our kids to thrive as personable human beings? Of course I don’t think something like this will “take over the world”, I just err on the side of caution for those who think it is cute for kids to spend countless hours flipping between tv shows, computer games, online social networking, video games….and forget to pick up a bike, or skates, or participate in some type of outdoor activity (think Michelle Obama – Let’s Move). Can’t you see advertisers lining up to post ads and run contests for products and services that appeal to kids, and moms who have kids? New snacks, games, hair wraps and silly bandz..oh my! I take my work hat off in this instance, and reveal the badge of my heart; my family; and I want them to rest assured that I have their best interest in mind. They may not appreciate it now, but I can wait for later. Ironically I just posted about not being the traditional mommy blogger. Not long after, I ran across this video by Toyota promoting the swagger wagon. I love it!! Perhaps that’s because I am a mini van driver. Funny thing, my typical response to people who drop their chins when they see me roll up is “I bet am the hottest minivan driver you know”. Now thanks to Toyota, I can’t say that anymore. Guess I will just have to sing their weird but catchy song! – wish Honda would have come out with it first though….I chose the Odyssey over the Sienna back in ’06. I am a mother who has ideas and likes to write, sometimes. I have to move when the spirit hits me, and honestly sometimes that isn’t quite as often as I would have hoped. I also wish I could dance…but that’s another story. So, because I like to write, and because I started this blog, then you could say I am a mother who blogs. I don’t believe however that I am a mommy blogger.